Image by RISE, via Wikipedia, license. 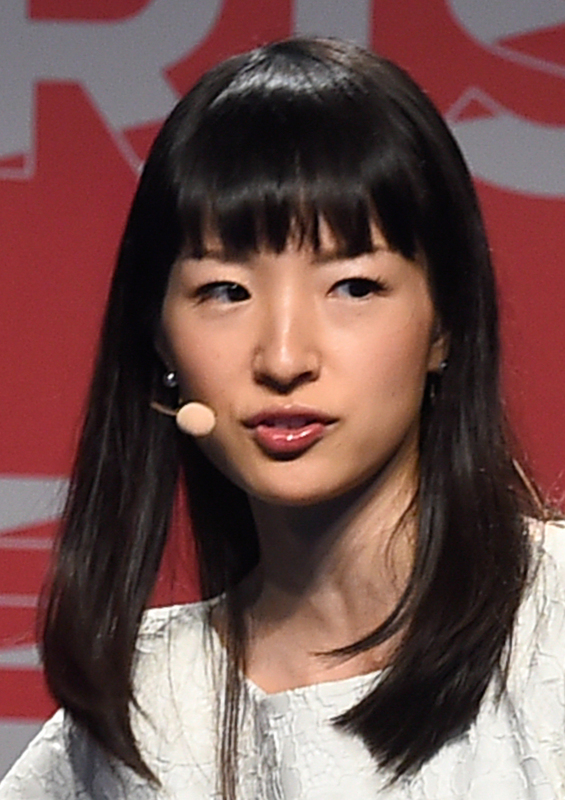 Over at Reason Magazine is a thought-provoking piece on home organization guru Marie Kondo. I have to admit that I have not paid much attention to Kondo, despite having heard of her something like a year ago. This is in part because her question about things sparking joy sounded corny to me. Coupled with the nonessential of how, exactly, to fold socks, her enormous popularity screamed "Fad! Waste of time!" to my contrarian disposition. Kondo's life's work is to help people sort their belongings, toss a bunch of them, and put the rest away neatly. She calls it The Life-Changing Magic of Tidying Up. She asks her clients to hold each object they possess one at a time to decide if it "sparks joy." If it doesn't, one thanks the object and discards it. Sound anti-consumerist? It's not: The insight that undergirds her entire system is that stuff can, in fact, make you happy. At the core of Kondo's project is an idea more revolutionary than and in opposition to the prevailing anti-materialist moral consensus. By asking you to pay attention to how you feel about things, she hopes to help you become more sensitive to stuff-induced euphoria. Kondo taps into the strong feelings people have about their belongings rather than asking them to minimize those impulses, as the practitioners of both left- and right-wing variants of anti-consumerist austerity demand. In the field of introspection, the two guiding questions are: "What do I feel?" and "Why do I feel it?" Knowing this, someone, say, unhappy working as a programmer, would thus not chuck his computer -- at least not yet -- knowing he needs it to survive. But the question could still help him make bigger changes that would enable him to eventually do so (or keep it, but only for uses he does enjoy). So I see Kondo's question in a new light. Far from trite, it can be very useful for cleaning up house, and in more than just the literal sense.